We have been blessed over and over and over through the generous giving of friends! What can I say! Thank-You somehow seems so inadequate! 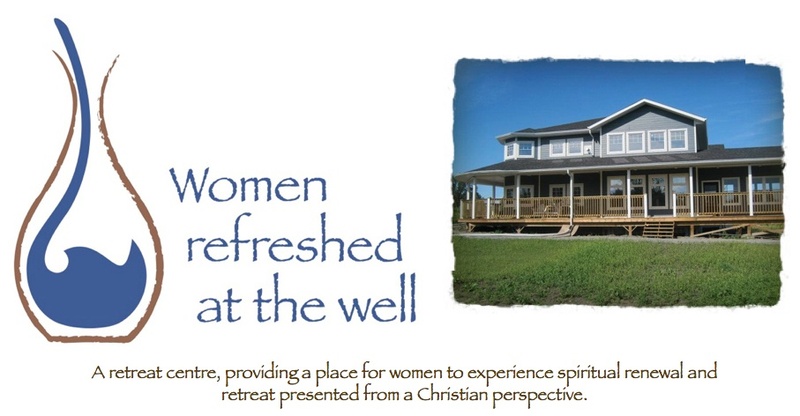 Since our open house we have put a few thousand dollars into the ministry account, and many people will be getting receipts for Income Tax from Women refreshed at the well. It is quite something to get the mail out of our mailbox and find cheques - cheques ranging from a hundred, to a few hundred to a thousand and more. I have been surprised over and over again. It is one thing for Alvin and I, with the support of our family and our board of directors, to dream and to build but I am telling you, when we see that others believe that God has called us to this, and choose to support the ministry financially, it just blesses the socks off us! So thank you. You know who you are. Thank You So Much! If any one else is interested in supporting the ministry financially, we do want you to know that we are a non-profit charitable ministry with a tax number. We will gladly receipt any and all donations! Thank you in advance for your help in this work! As well, we value the prayers of all who support us in prayer! Please know that we could not do this ministry without your prayer support. Unless God builds the house, the laborer labors in vain! To God be the Glory!! tiling and carpets and other things!